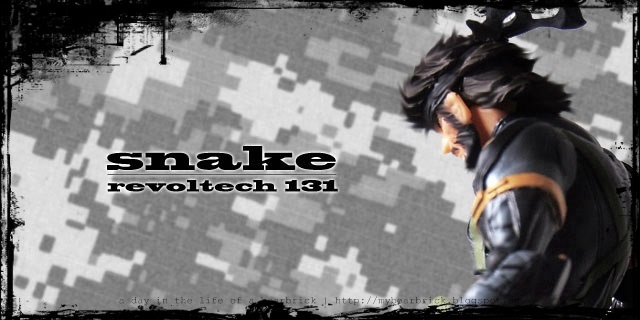 The mark of my retirement from the military service. 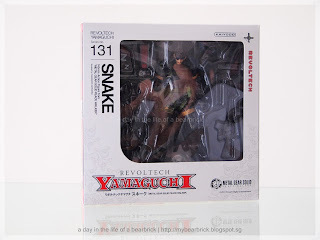 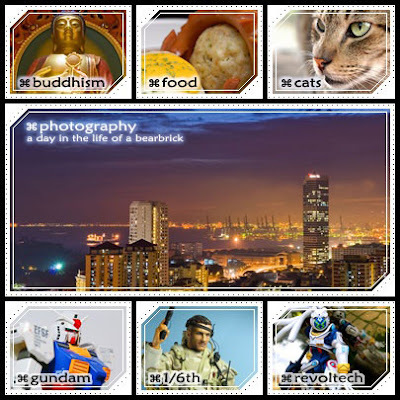 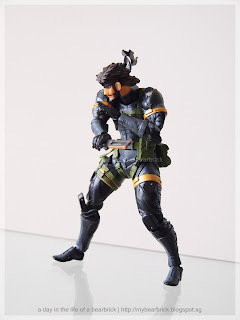 Kaiyodo has since rejuvenated its Revoltech series with licences from various companies to create action figures from animations, movies and video games. 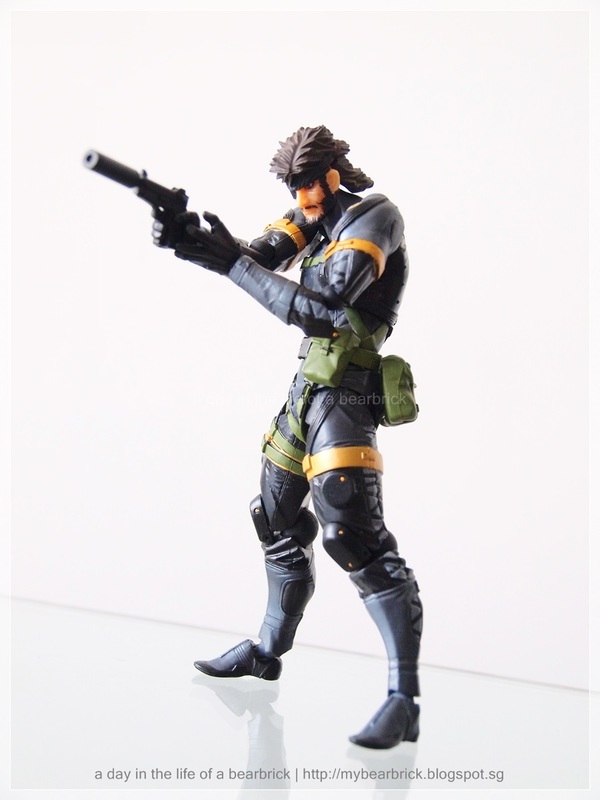 The latest addition from video games line-up is SNAKE from Metal Gear Solid. 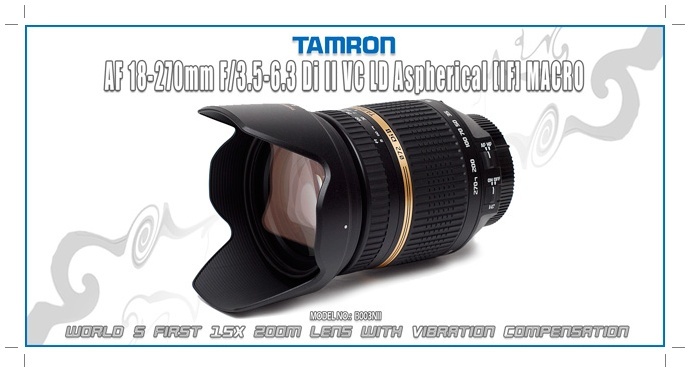 SNAKE features fantastic articulations and even the eye ball can be adjusted. 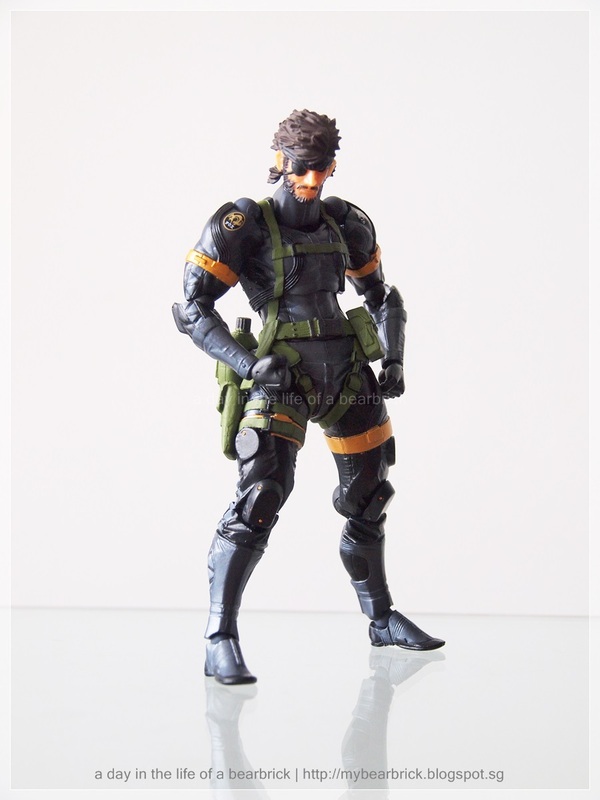 The customization allows you to recreate poses from the game. 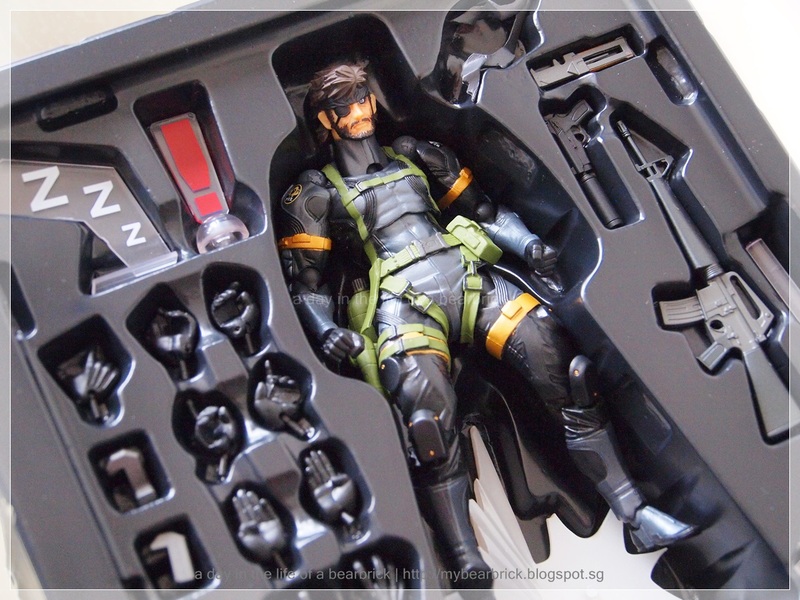 Apart from the alarm sign, there is a "Zzz" sign. The kit comes with a cut-out cardboard to make into a paper carton used by SNAKE for its stealth operations. 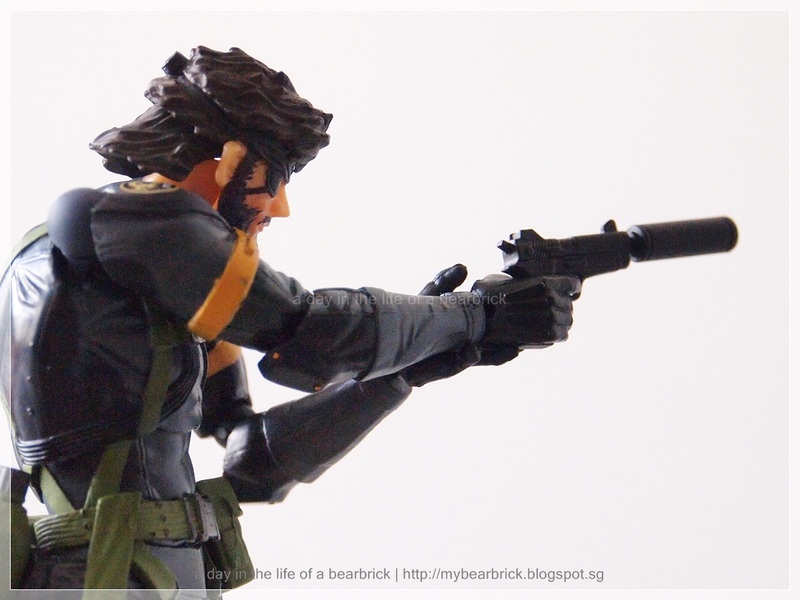 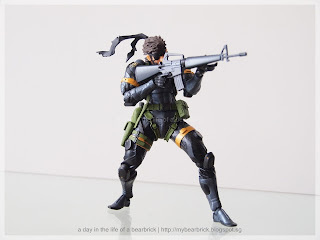 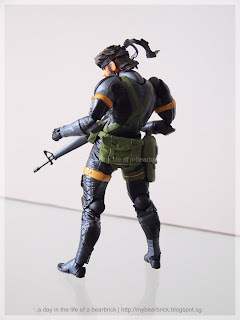 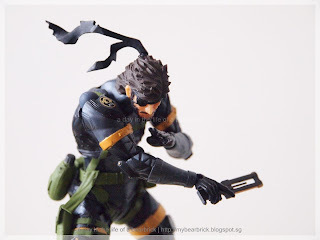 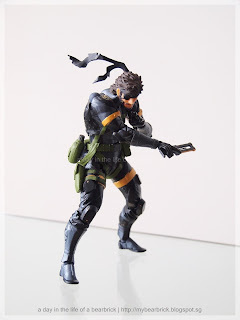 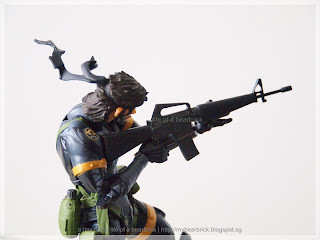 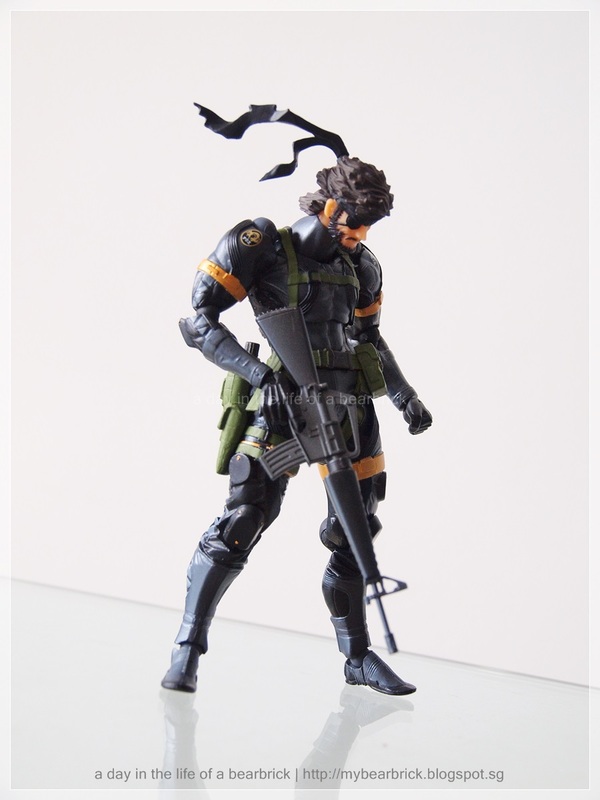 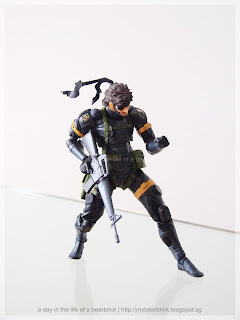 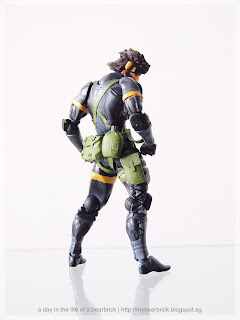 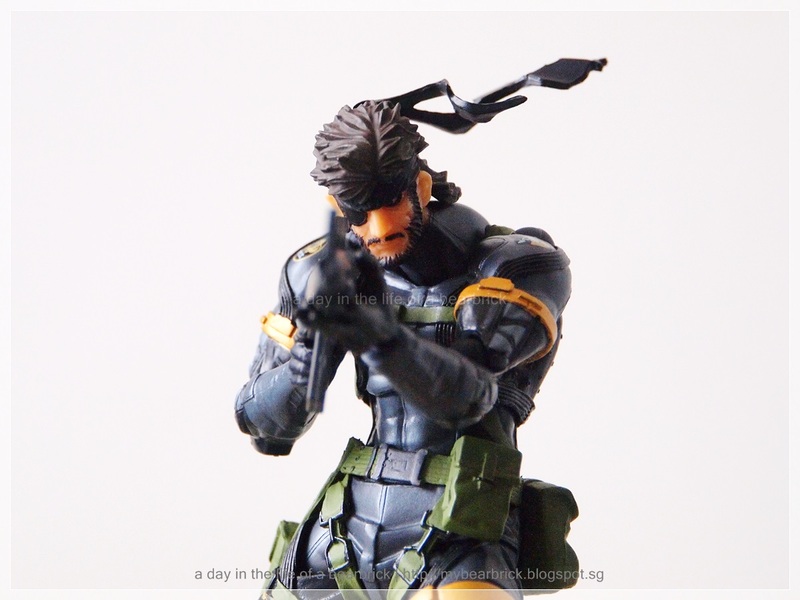 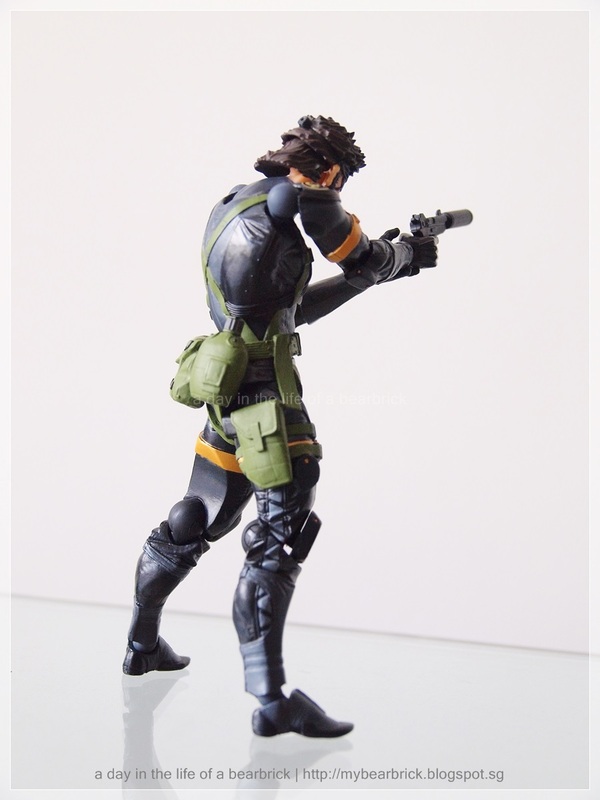 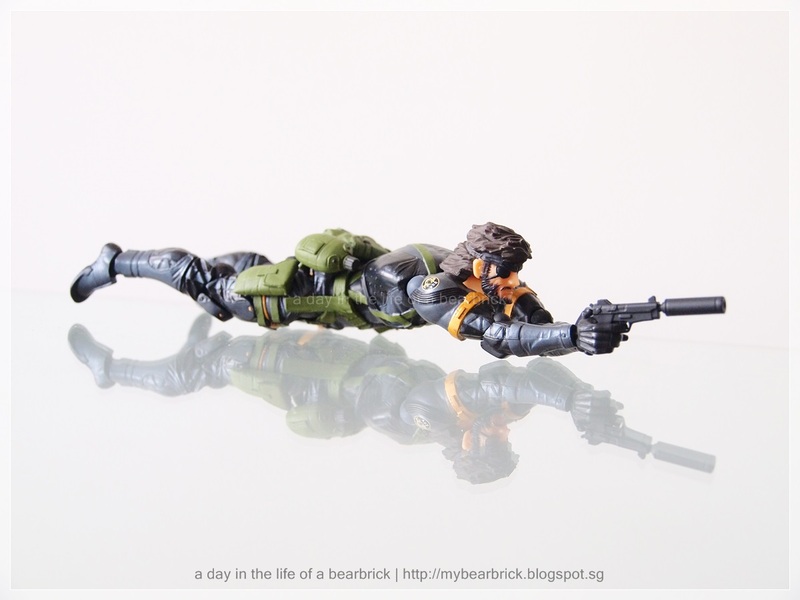 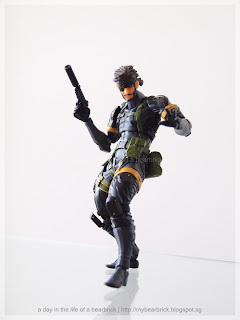 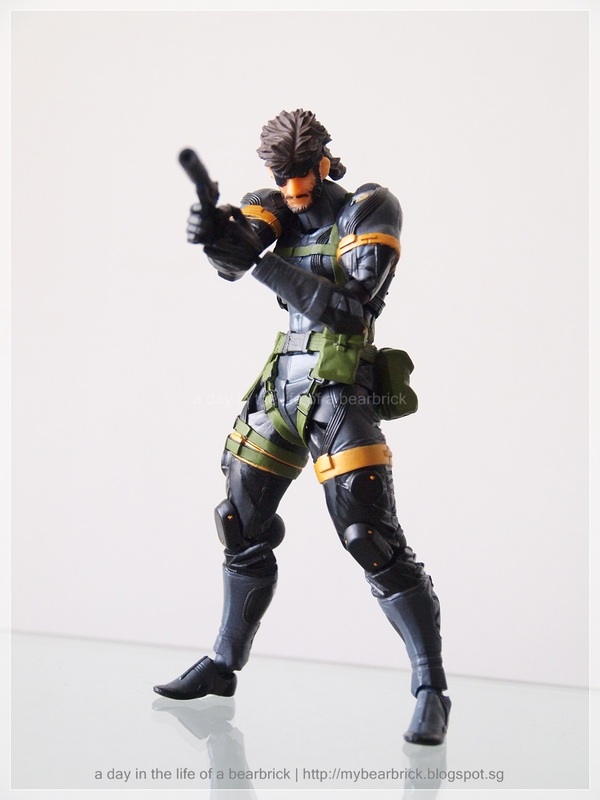 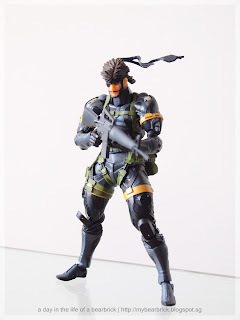 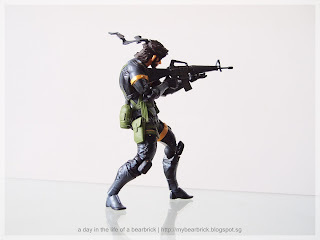 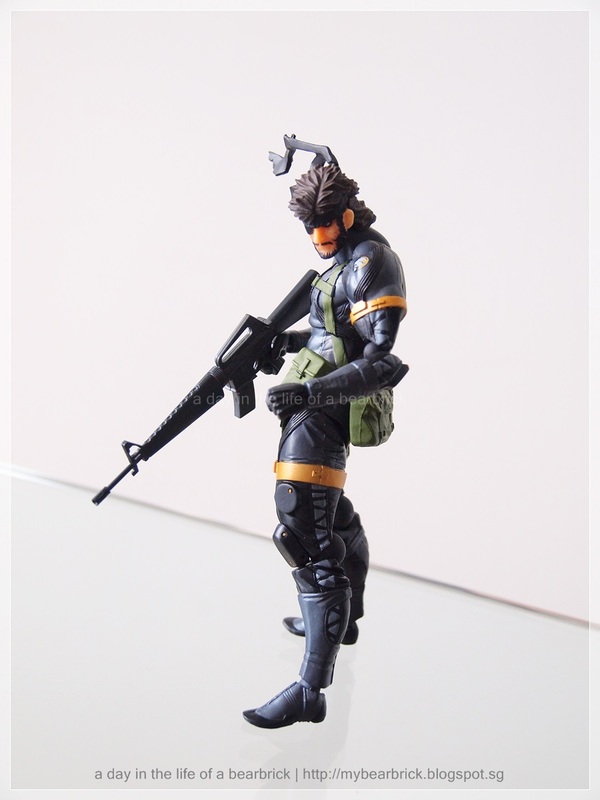 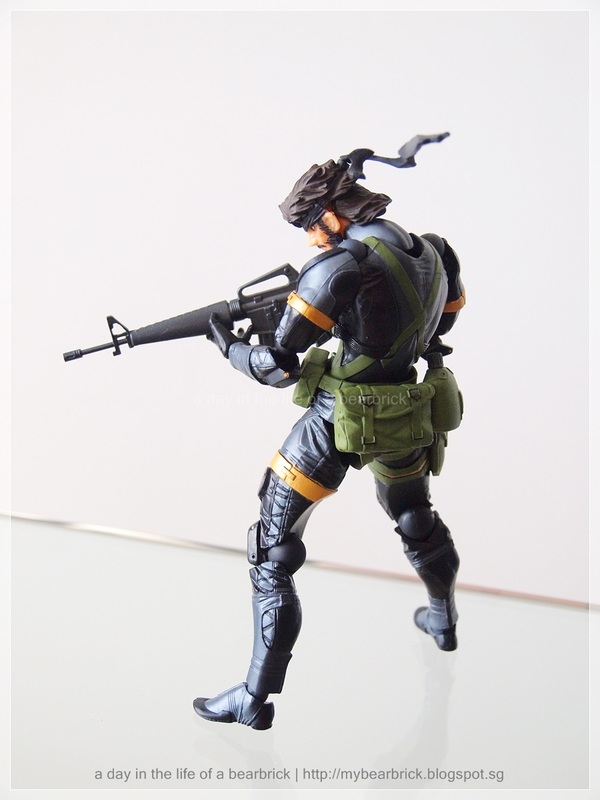 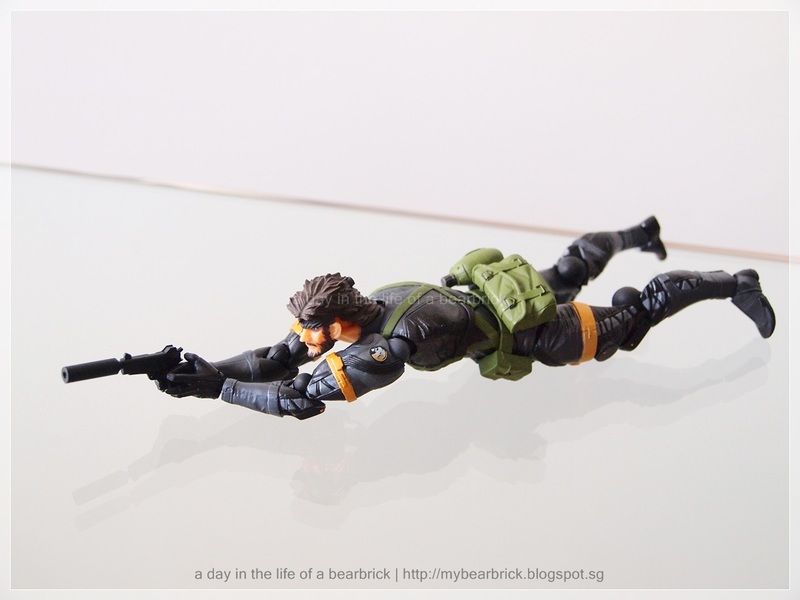 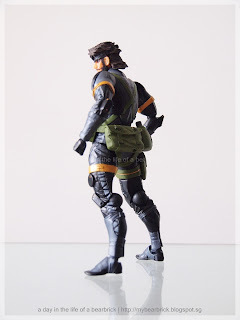 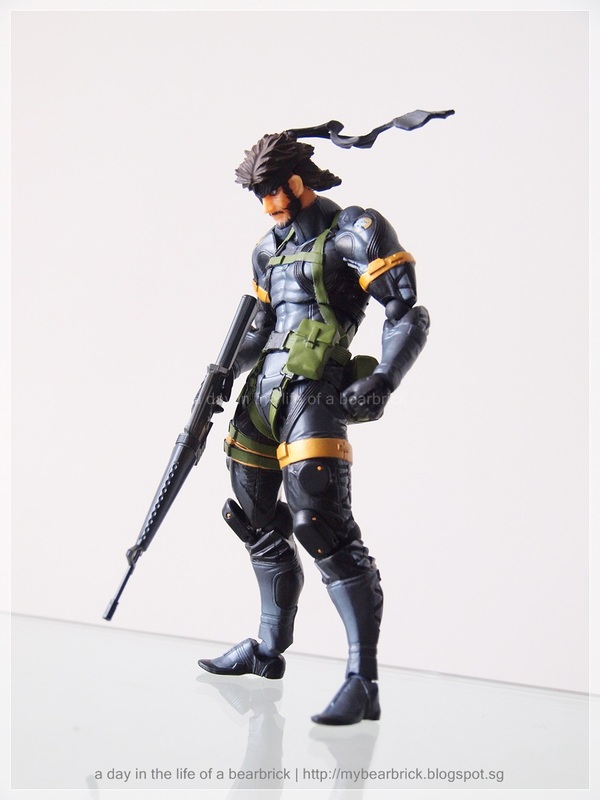 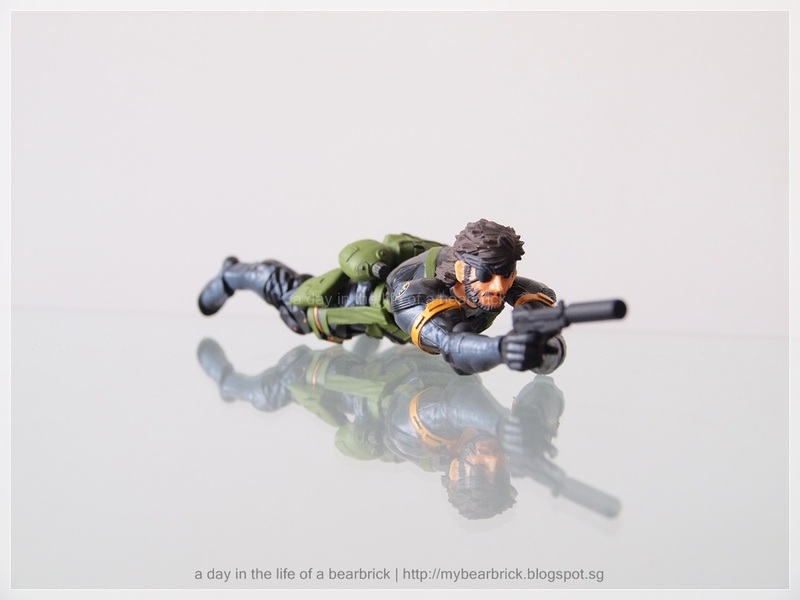 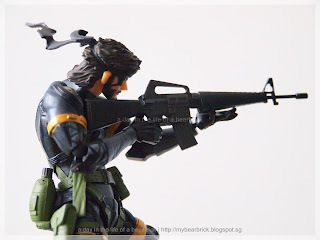 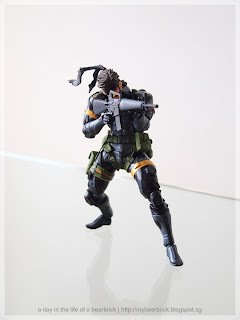 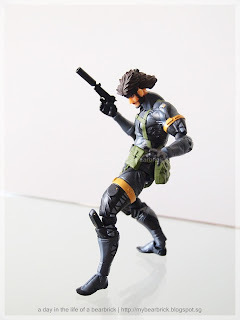 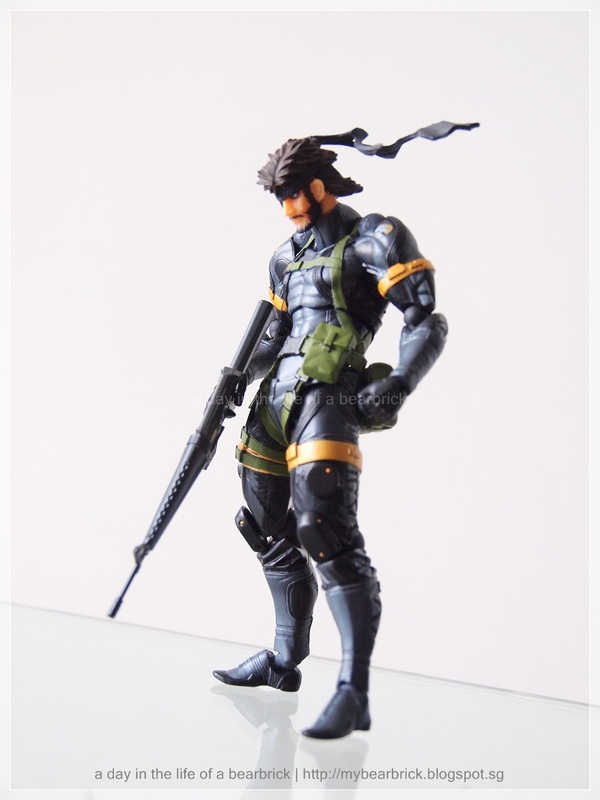 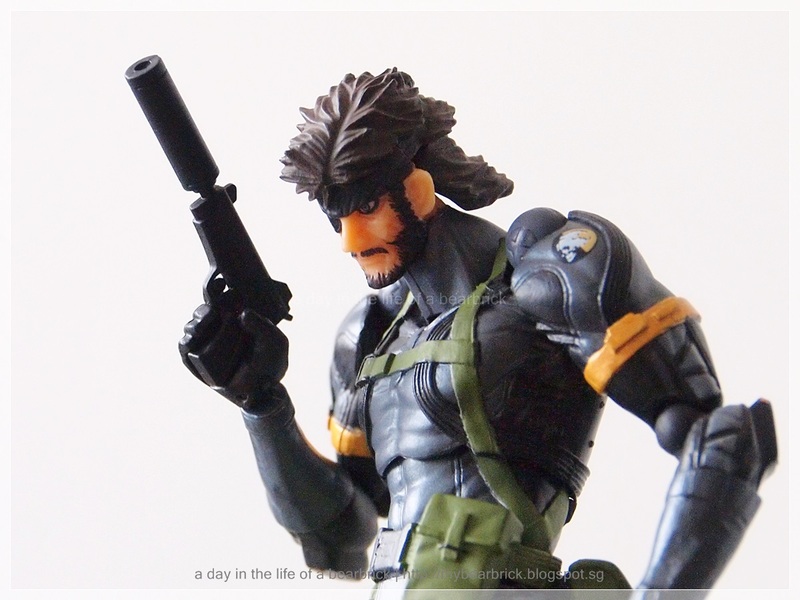 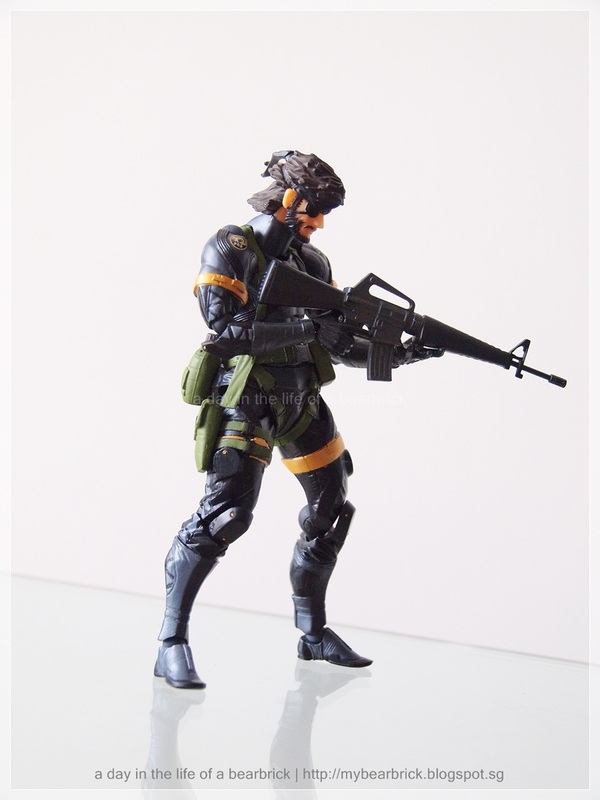 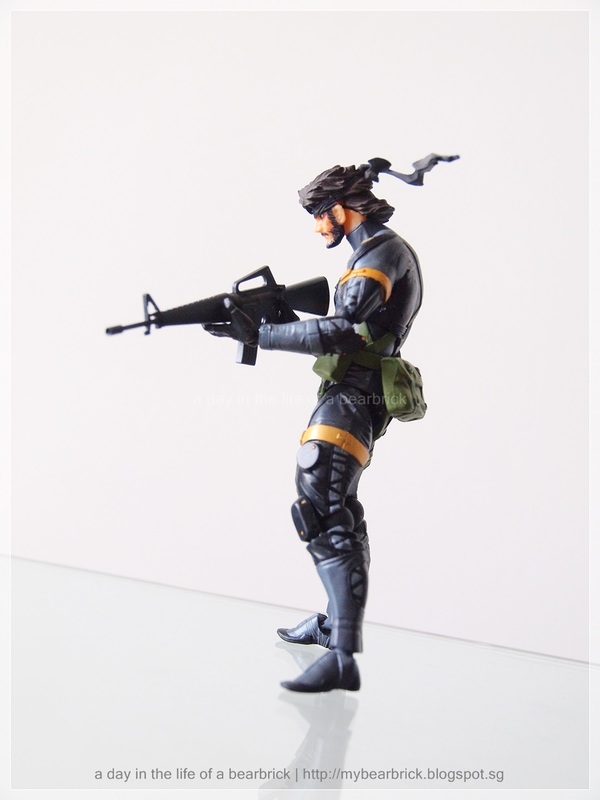 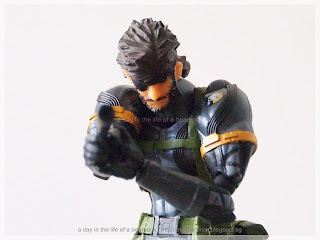 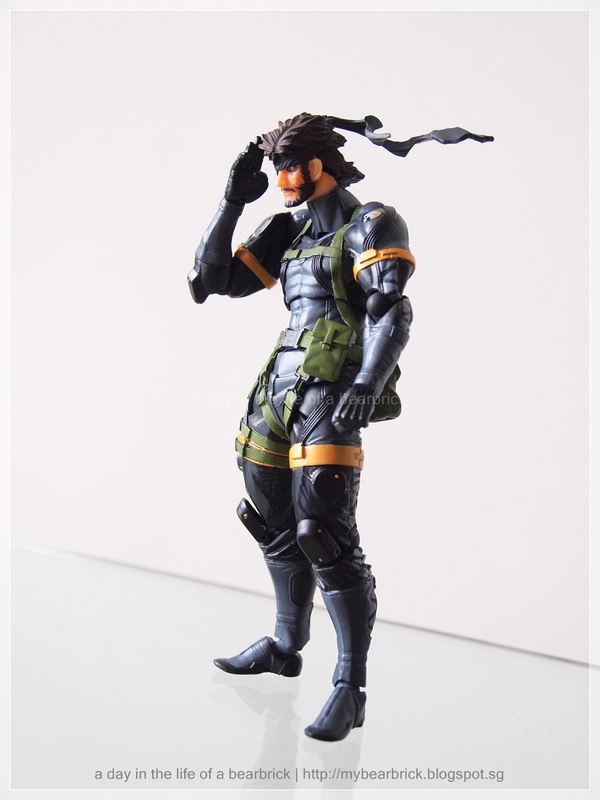 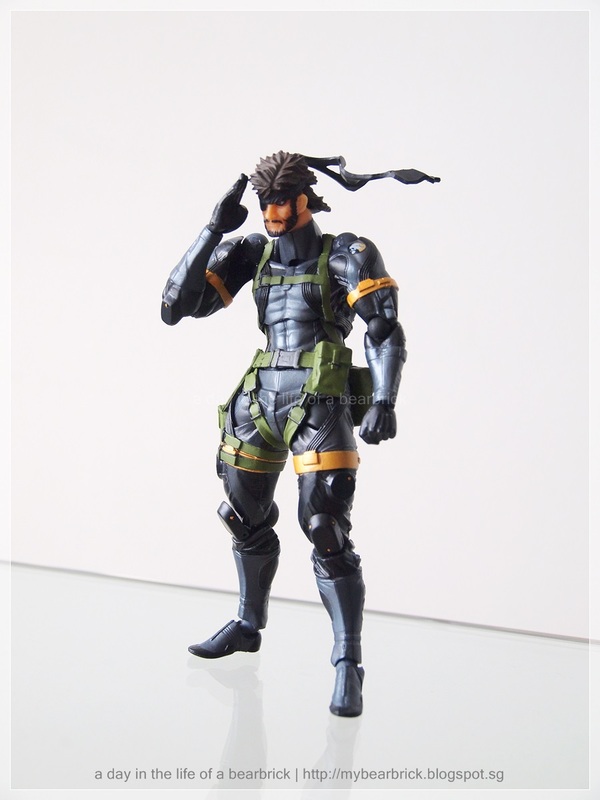 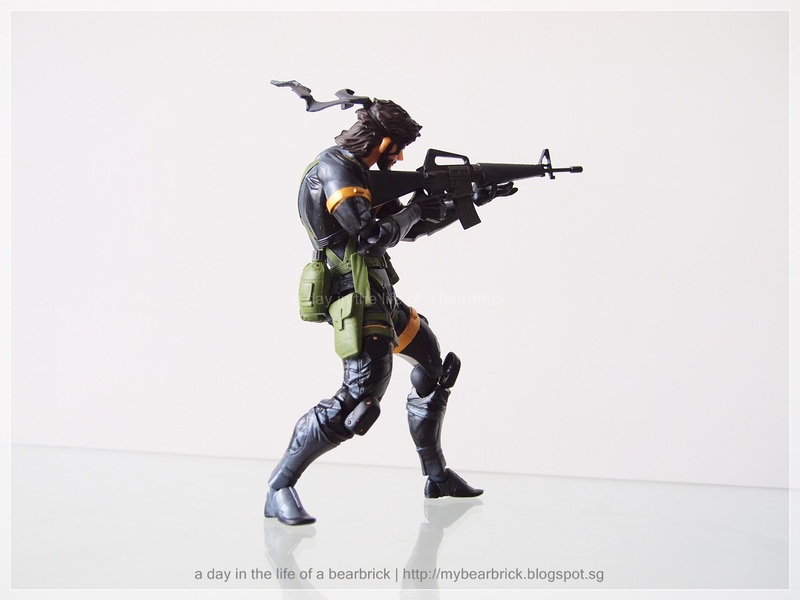 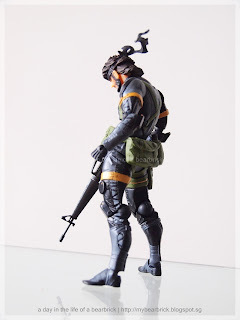 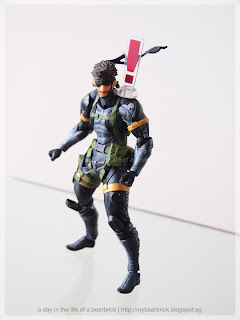 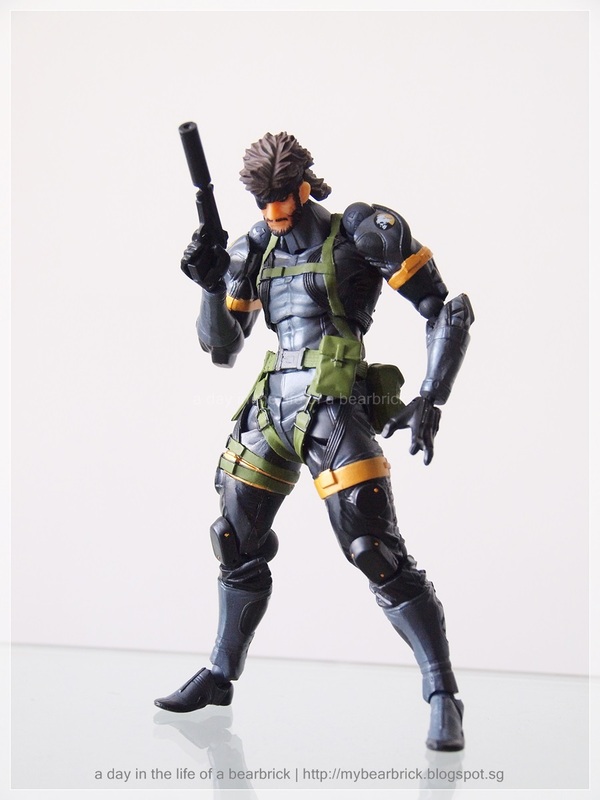 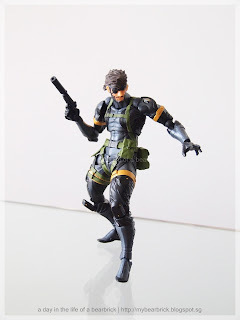 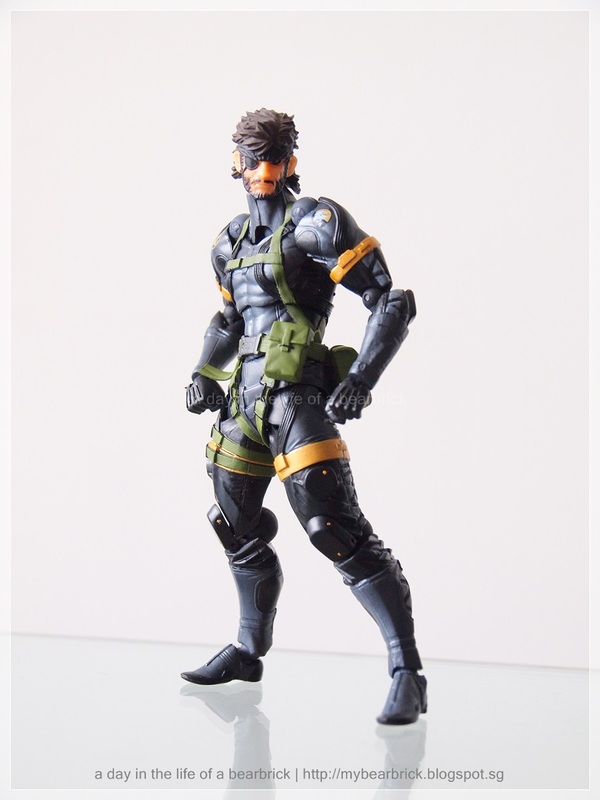 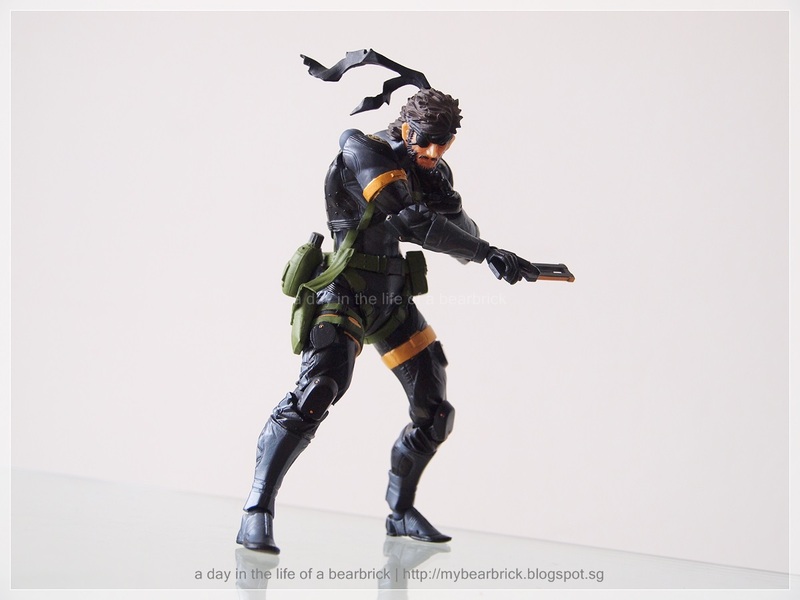 SNAKE is definitely a worthy piece to have, whether you are a toy collector or not, as long you are a fan of Metal Gear Solid.